Find your perfect beach getaway with a vacation rental on Tybee Island (Savannah's Beach), an easily accessible barrier island just 18 miles away from the Hostess City of the South, historic Savannah, Georgia. Savannah’s Beach is an amazing tourist destination that has something to offer every vacationer. There are numerous lodging options including vacation rental homes to condos and VRBO properties to hotels. Rich in both history and natural beauty, Tybee Island is also famous for its diverse cuisine, excellent accommodations, and a variety of exciting recreational activities. If you've not experienced the ambiance and relaxing lifestyle of a pristine seaside resort, you owe it to yourself to visit Tybee Island - perfect for sunbathing, walking, biking, sailing, fishing, or just frolicking about like the Bottlenose Dolphins. 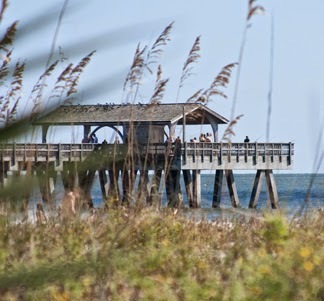 Put Tybee Island on your bucket-list and experience the sandy beaches, salty breezes, and outdoor wildlife and natural beauty - all located just 18 miles east of Savannah. Plan your Tybee Island/Savannah Beach family vacation today!